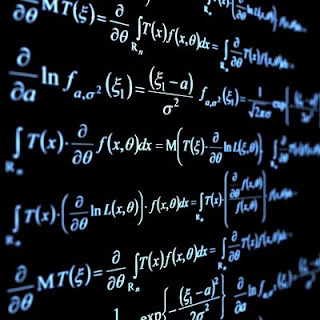 For centuries people have debated whether – like scientific truths – mathematics is discoverable, or if it is simply invented by the minds of our great mathematicians. But two questions are raised, one for each side of the coin. For those who believe these mathematical truths are purely discoverable, where, exactly, are you looking? And for those on the other side of the court, why cannot a mathematician simply announce to the world that he has invented 2 + 2 to equal 5. This question pops to the surface of the math world every so often, like a whale surfacing for air. Most mathematicians will simply set aside this quandary for those from the philosophical realm, and get on with proving theorems. However, the mathematical whale has surfaced this year, thanks to the European Mathematical Society Newsletter’s June edition, where the question will once again be raised. If you’re looking for a side to join, then maybe the Platonic theory is your cup of tea. The Classical Greek philosopher Plato was of the view that math was discoverable, and that it is what underlies the very structure of our universe. He believed that by following the intransient inbuilt logic of math, a person would discover the truths independent of human observation and free of the transient nature of physical reality. “The abstract realm in which a mathematician works is by dint of prolonged intimacy more concrete to him than the chair he happens to sit on,” says Ulf Persson of Chalmers University of Technology in Sweden, a self-described Platonist. Brian Davies, a mathematician at King's College London, writes in his article entitled “Let Platonism Die” that Platonism “has more in common with mystical religions than with modern science.” And modern science, he believes, provides evidence to show that the Platonic view is just plain wrong.